While impressive, Christmas Fair is just one part of the attractions that were planned for December in Gdansk. Together with the fair beautiful Christmas illuminations appear. First of those were installed next to Forum Gdansk Mall. Other will join beginning of December on Royal Route and Green Bridge, and of course in the old, charming Park of Oliva. 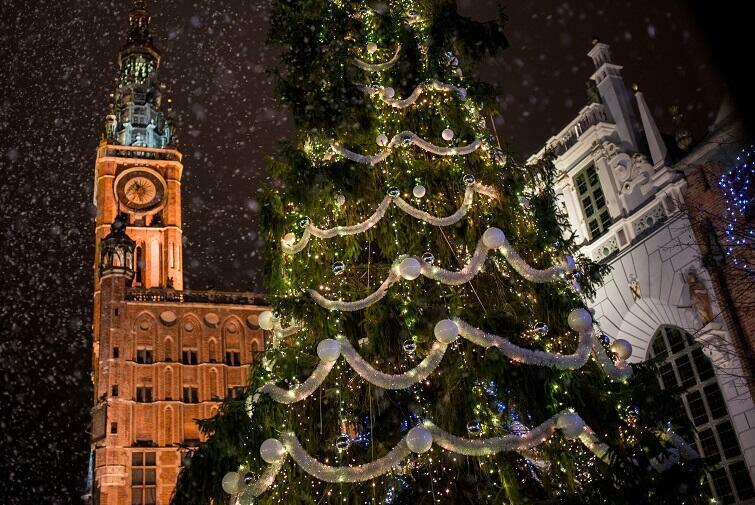 Next, on 5th of December an official illumination of Gdansk’s Christmas Tree will happen on Dlugi Targ Street. It shall be done together with a Santa Claus who comes to Gdansk on that very day. Read more about it HERE. On the 9th of December we invite you to see and hear to the „Love is Everything” concert. The name of it derives from a newest movie – a romantic Comedy that was filmed in Gdansk. And last but not least – time for a New Year’s Party! This year we are celebrating in 4 different PLACES. Another new addition is the Food Court in the central part of the square, open until 13th January. It will be simply delicious here! Taste various cuisines: Spanish (churros), Hungarian (kürtőskalács, lángos), Alsatian (flatbread) and Polish (poppyseed cake, pierogi, sausage rolls, borscht and zurek soup). Try original tea flavours, hot chocolates and aromatic mulled wine, served in ceramic collector cups or disposal cups manufactured specifically for the Fair (together with a Fair-themed napkin). Enjoy the new eating venues in the Food Court – spacious gazebos with furniture and radiant heaters.